NOTICE: Activation key must be used on a valid Steam account. Requires internet connection. About the game The Force is strong with this one… The No. 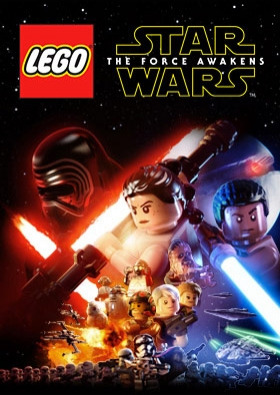 1 LEGO® videogame franchise triumphantly returns with a fun-filled, humorous journey based on the blockbuster Star Wars film. Play as Rey, Finn, Poe, BB-8, Kylo Ren, Han Solo, and the rest of your favorite characters from the movie! … In LEGO Star Wars: The Force Awakens, players relive the epic action from the blockbuster film Star Wars: The Force Awakens, retold through the clever and witty LEGO lens. The game will also feature exclusive playable content that bridges the story gap between Star Wars Episode VI: Return of the Jedi and Star Wars: The Force Awakens. LEGO Star Wars: The Force Awakens also introduces Multi-Builds and Blaster Battles to the LEGO videogame universe. With Multi-Builds, use available LEGO bricks to open up new paths, then break them apart and re-build them again to open up another! And another! During Blaster Battles, use your surroundings as cover to stand against the First Order. System Requirements Windows - MinimumOS: Windows XP/Vista/7/8/10Memory: 4 GB RAMProcessor: Intel Core 2 Quad Q6600 (2.4 GHz) / AMD Phenom x4 9850 (2.5 GHz) Hard Drive: 14 GB available spaceGraphics: GeForce GT 430 (1024 MB)/ Radeon HD 6850 (1024 MB) DirectX: Version 9.0cNetwork: Broadband Internet connection Sound Card: DirectX compatible Additional Notes: Windows XP and DirectX® 9.0b and below not supported	Windows - RecommendedOS: Windows XP/Vista/7/8/10Memory: 4 GB RAMProcessor: Intel i5, 4 x 2.6 GHz or AMD equivalent Hard Drive: 14 GB available spaceGraphics: NVIDIA GeForce GTX 480 or ATI Radeon HD 5850 or better, 1Gb RAM DirectX: Version 11Network: Broadband Internet connection Sound Card: DirectX compatible Additional Notes: Windows XP and DirectX® 9.0b and below not supported LEGO® STAR WARS™: THE FORCE AWAKENS software © 2016 TT Games Ltd. Produced by TT Games under license from the LEGO Group. LEGO, the LEGO logo, the Brick and the Knob configurations and the Minifigure are trademarks and/or copyrights of the LEGO Group. © 2016 The LEGO Group. STAR WARS © & ™ Lucasfilm Ltd. All rights reserved. Used under authorization. WB GAMES LOGO, WB SHIELD: ™ & © Warner Bros. Entertainment Inc.